Home Press Release Disney Pixar’s “Coco” Sings its way to SM Cinemas Nationwide! Disney Pixar’s “Coco” Sings its way to SM Cinemas Nationwide! 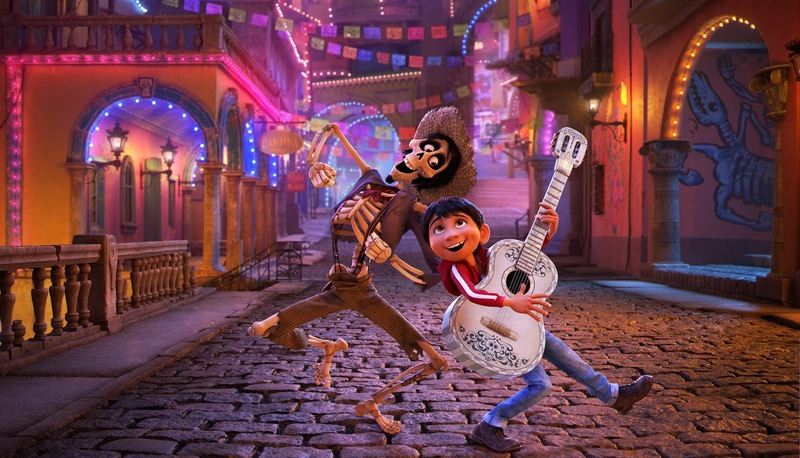 The creators of Finding Dory, Toy Story and Inside Out invite you to a musical journey on the bond of family history as Disney Pixar debuts its newest movie, “Coco” in all SM Cinema theaters beginning November 22. Bringing the love of Disney closer to all Filipino families, SM Cinema debuts Coco in branches across the nation, with SM Seaside City Cebu heralding the movie’s first appearance on the Mega Screen featuring Coco brand ambassador Inigo Pascual as the event’s special guest. Coco then tours its premiere at SM City Davao, SM Santa Rosa and SM City Baguio. Celebrate the month of Thanksgiving by discovering the inseparable bond of family and sing along with Disney Pixar’s Coco in SM Cinema branches nationwide beginning November 22. For more information, log on to www.smcinema.com or follow @SM_Cinema on Instagram, and /SMCinema on Facebook and use the hashtag #CocoAtSMCinema.